The perfect car for the Australian family has changed a lot over the years, but now it seems to be altogether changing shape, with the sale of standard cars decreasing while SUV sales are absolutely booming. Small cars were still the best selling, but the rise of SUV sales has been extremely impressive to say the least, now making up six of the top 20 vehicles sold in the country. The following is a look at some of the possible reasons behind the shift. 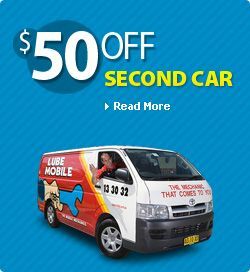 Many Australians used to spend their holidays checking out other parts of the world rather than exploring their own country, but now that terrorism is on the rise and the world financial markets have become far more precarious, more Australians are holidaying at home, and as a result need a vehicle that they can travel in. We?d all like to have a super stylish car, but for those of us who have families, function is a criterion that can?t be ignored. Families can be hard on cars, so unless you want to have your sports car with your mechanic for car repairs every few weeks, you may have to get something a little more family appropriate. Thankfully, you can have a functional car that looks stylish as well, and the following are some of the ways that you can go about it. A lot of families go for the station wagon option, as this seems to be the easiest way of having a space to pack all the essential supplies for family outings. You can hide the practicality factor of your wagon by doing it up, with a new paint job, stereo, tinted windows or sunroof. Porsche debuted the 918 Spyder in 2010 as a concept car and has since released it in limited edition. The Spyder is Porsche’s first plug-in hybrid car. It’s always good to be organised, and while you can’t always be ready for every situation, thinking ahead can often save you a lot of dramas. Whether you drive often or rarely, just being out on the roads will have you exposed to a whole range of potential challenges, so think before you get out on the road and do your best to cover your bases. A lot of the issues that can arise on the road can easily be rectified by always having some essentials in your car with you, so be sure to have the following things in your car to save both time and hassle. You can get fast and easy assistance anywhere, for almost any problem that you may encounter on the road, as long as you have a means to call for help. Whether you require car service in Sydney, car service in Melbourne, or you need to call for police or an ambulance, it’s important to always have a phone handy so that you can get things sorted out quickly. Having your car regularly serviced by a qualified mechanic is one of the best ways to keep your car safe. Undertaking defensive driving courses is another way you can insure yourself against road accidents. Sometimes however, the worst can happen and you can find yourself involved in a road accident through no fault of your own. Everyone knows of the dangers of motor vehicle transport and even if you are the safest driver on the road you are still at the mercy of other drivers who may occasionally be reckless or inconsiderate. When an accident occurs it is not only a frightening experience, but it can also leave you in a state of shock and confusion. Although you can never completely prepare yourself for such an event every driver should at least consider the possibility and develop a strategy for dealing with the trauma.